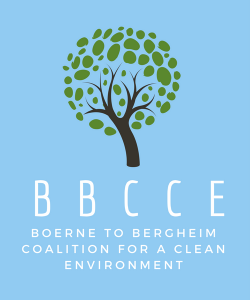 What is BBCCE – Stop Vulcan in Boerne! Neighbors, parents, landowners, and businesses along this highway 46 corridor are very concerned about this proposed concrete batch plant and we have all joined together in an unprecedented effort to fight this. We are deeply concerned about the health impacts from this facility, particularly to our children at our school and the elderly who live nearby. We are deeply concerned about the very small particles of dust and silica that the facility proposes to emit right next to a school that caters to children from infants to middle school. Children are particularly sensitive to air pollution more so than adults. This type of permit they have applied for does not really review these type of adverse health impacts in this circumstance with school children nearby. The Corporation is organized exclusively for charitable and educational purposes as defined in Section 501(c)(3) of the Internal Revenue Code, including, but not limited to, research, development and publication of proposals to ensure the public safety and welfare of residents and to protect the environment and rural character of the Hwy 46E corridor and the surrounding areas from Boerne, Texas to Bergheim, Texas. These activities include monitoring development proposals, including, but not limited to, those that could impact land use, public welfare and safety, air and water quality, wildlife, habitat preservation, natural resources, and the environment in and around Highway 46E; advocating for the protection and preservation of property in and around Highway 46E; increasing public awareness and understanding of public welfare and environmental issues in and around Highway 46E through media and other educational programs; participating in administrative, common law, or statutory-based litigation designed to further these activities; and reviewing and commenting upon existing and planned practices which may or do impact these issues.